One of my favorite things about cocktails is that there are so many different ways to make all of them, especially sangria! 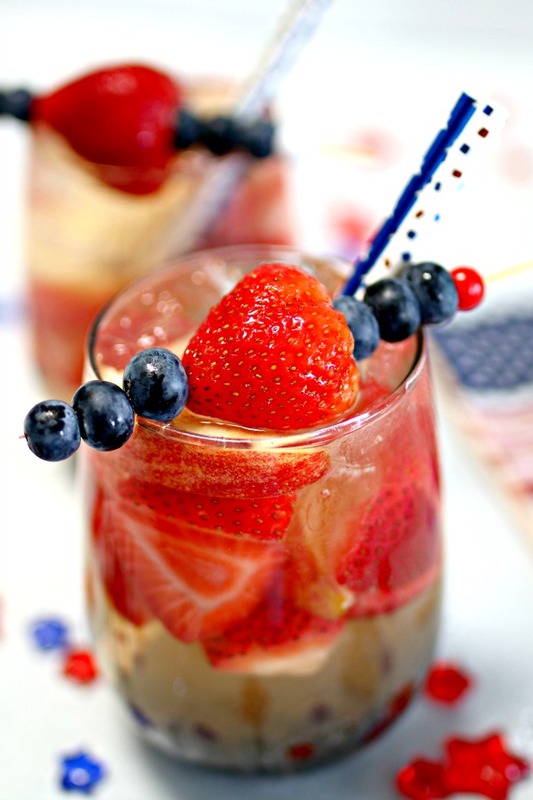 With 4th of July coming soon, I thought it would be fun to make some Red White and Blue White Wine Sangria! 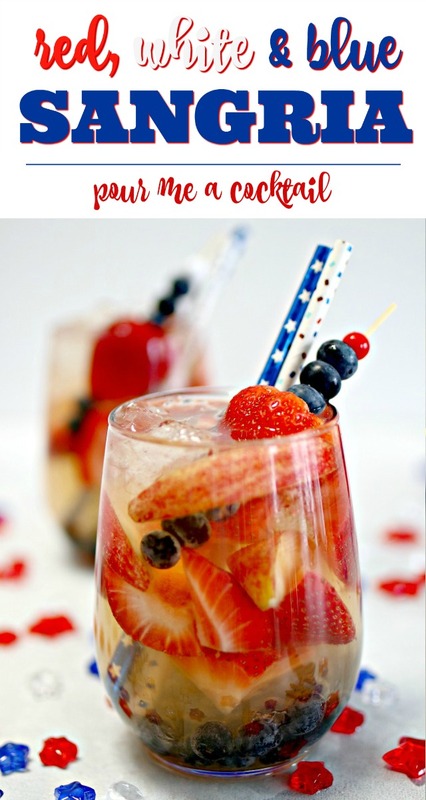 This sangria is so easy to make and a great sharable drink for any Patriotic holiday. One of our favorite things to make when having friends over is sangria. It’s so versatile and can be mixed and matched with so many different flavors. You can make white wine sangria, red wine sangria, sangria with fruit, sparkling sangria and so much more. 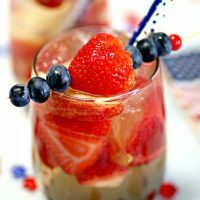 We recently shared our version of Tropical White Wine Sangria, and it was a HUGE hit, so I thought it would be fun to share a Patriotic White Wine Sangria to help celebrate the 4th of July. You can make this for a crowd, and really impress your friends or just make it for yourself if you like…either way, it’s sure to be a hit! 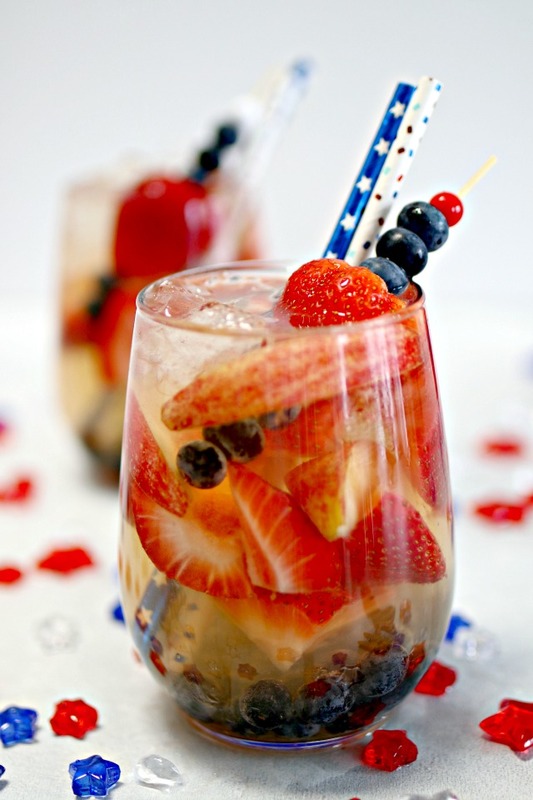 What’s in Red, White and Blue Sangria? Add the white wine, strawberries and blueberries and apple juice to a large pitcher. Cover and place in the refrigerator for 3-4 hours. Before serving, add the prosecco and apple slices and stir together gently. 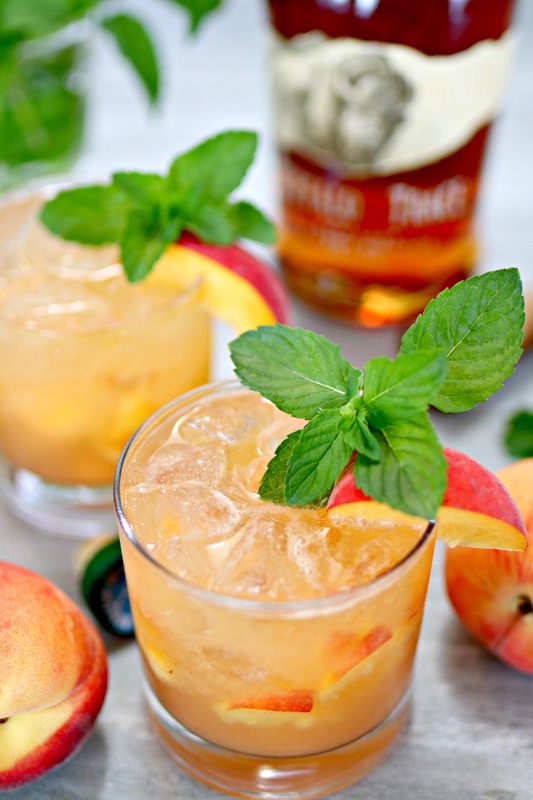 This Bourbon Peach Smash is so delicious and perfect to make during the summer when peaches are in season! 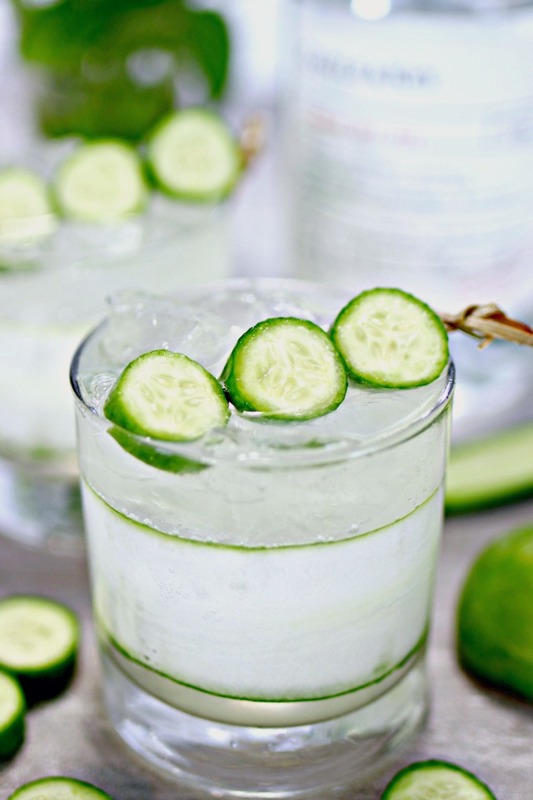 Another refreshing summer drink that we recently shared is the Skinny Cucumber Gin and Tonic. It’s so fresh tasting and guilt free too! 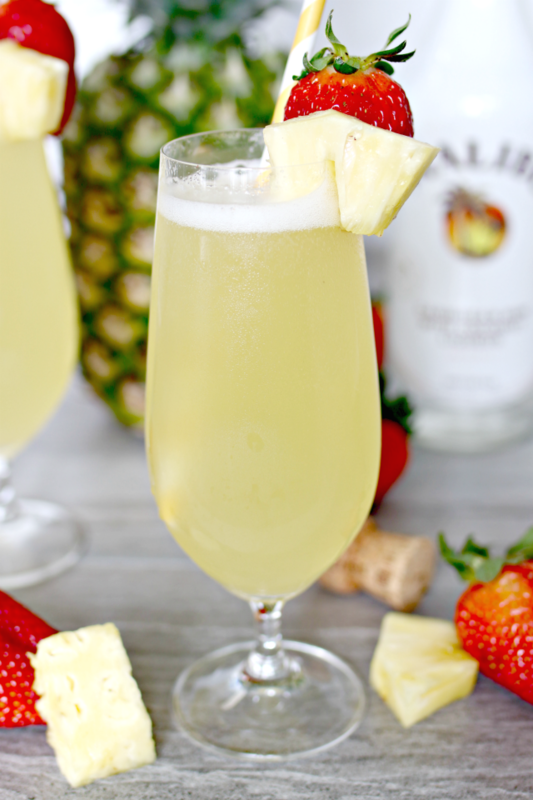 If you like prosecco as much as we do, then you will LOVE this Tropical Prosecco Mimosa. It’s a delish twist on a a classic mimosa, and perfect for brunch!